Community members of all ages and backgrounds are increasing their use of social media tools as a way to connect to each other and the issues they care about. Not surprisingly, cities and counties are also increasing their use of these communications channels to reach residents. These articles and tip sheets can help local governments navigate the operational and policy issues that may come up while pursuing this approach to community outreach and engagement. This presentation at a CSAC Institute session provides an overview of how Marin County uses social media in relation to other digital communication tools. What legal issues do public agencies face when they use social media? This paper offers “dos and don’ts” advice for reaping the benefits of social media while minimizing the pitfalls. See this collection of social media policies from cities, counties, other levels of government and the private sector. This award-winning paper, Taking the Bite Out of Blogs: Ethics in Cyberspace, provides clear policy and ethics guidelines. 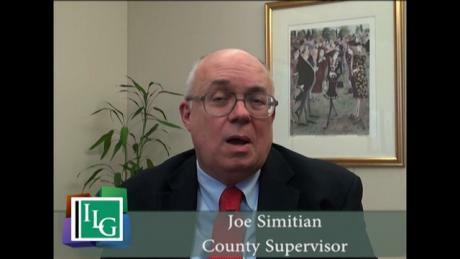 Also watch a short video interview with a county supervisor who shares some perspective on managing online public comments. This Western City article provides local officials with the basics of using Twitter to communicate with their communities, including the anatomy of a tweet.